Just in case you really need a new game controller or hard drive delivered on a Sunday, it appears that Amazon may just have you covered. Amazon announced today that it is teaming up with the U.S. Postal Service (USPS) to begin offering Sunday deliveries in New York City and Los Angeles. This new delivery option will be offered to Amazon Prime members only and is set to be expanded to other cities in 2014 including Dallas, Houston, New Orleans, Phoenix and more. This is an interesting turn of events as the USPS attempted to end Saturday deliveries earlier this year, but was later informed by the government it wasn't as simple as just deciding to do that. Speaking with Amazon, Patrick R. Donahoe, Postmaster General and Chief Executive Officer, said, "With this new service, the Postal Service is now delivering packages seven days a week in select cities. Customers can expect the same reliable and valued service that the Postal Service currently provides." From this statement it seems as though the USPS has just accepted its fate and will find alternative ways to earn more money. With the holiday shopping season now upon us, this seems as logical time as any to launch a new delivery option, and it's sure to be welcomed by many Amazon customers. SEATTLE–(BUSINESS WIRE)–Nov. 11, 2013– Amazon.com, Inc. (NASDAQ: AMZN) is working with the U.S. Postal Service to deliver packages on Sunday, starting in the Los Angeles and New York metropolitan areas. 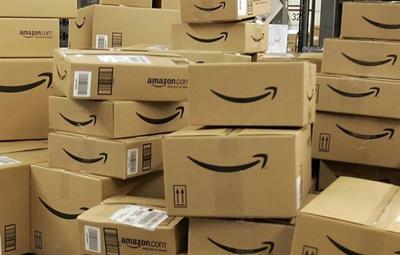 Amazon Prime members, who receive unlimited, free two-day shipping on millions of items, can now receive their packages on Sunday in these areas. Amazon and the U.S. Postal Service plan to roll out this service to a large portion of the U.S. population in 2014 including Dallas, Houston, New Orleans and Phoenix, to name a few. "If you're an Amazon Prime member, you can order a backpack for your child on Friday and be packing it for them Sunday night," said Dave Clark, Amazon's vice president of worldwide operations and customer service. "We're excited that now every day is an Amazon delivery day and we know our Prime members, who voraciously shop on Amazon, will love the additional convenience they will experience as part of this new service." "As online shopping continues to increase, the Postal Service is very happy to offer shippers like Amazon the option of having packages delivered on Sunday," said Patrick R. Donahoe, Postmaster General and Chief Executive Officer. "With this new service, the Postal Service is now delivering packages seven days a week in select cities. Customers can expect the same reliable and valued service that the Postal Service currently provides." To participate, Amazon customers can simply add millions of eligible items to their cart and will see the Sunday delivery promise at checkout when available in their region.